Belinda Trussell and Tattoo 15 were the first Canadians in the ring today. 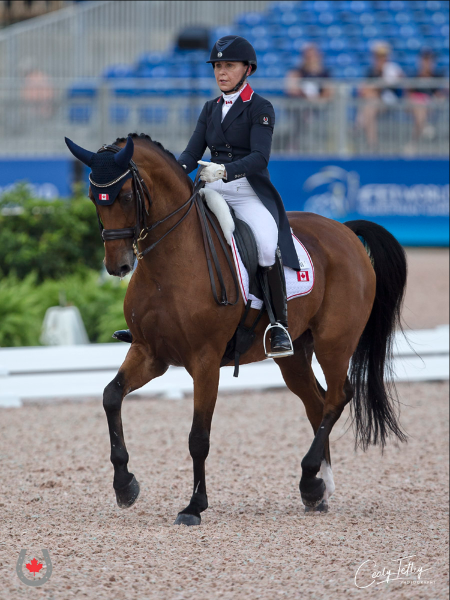 Mill Spring, NC – Belinda Trussell from Stouffville, ON and Jill Irving of Moncton, NB earned Canada a provisional standing of ninth after the first of two days of dressage team competition on Sept. 12, 2018 at the FEI World Equestrian Games ™ Tryon 2018 (WEG) in Mill Spring, NC. 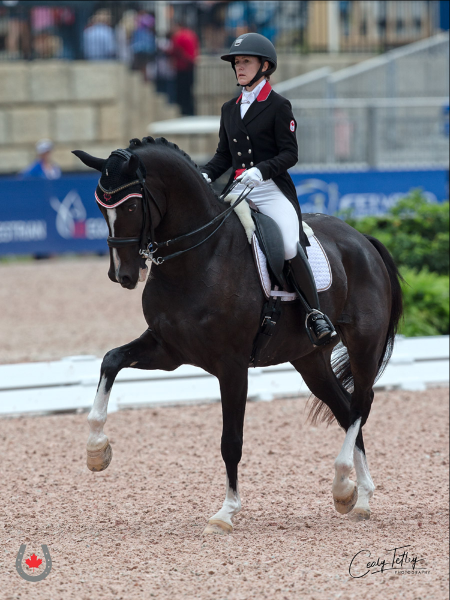 Jill Irving and Degas 12 made their WEG debut.